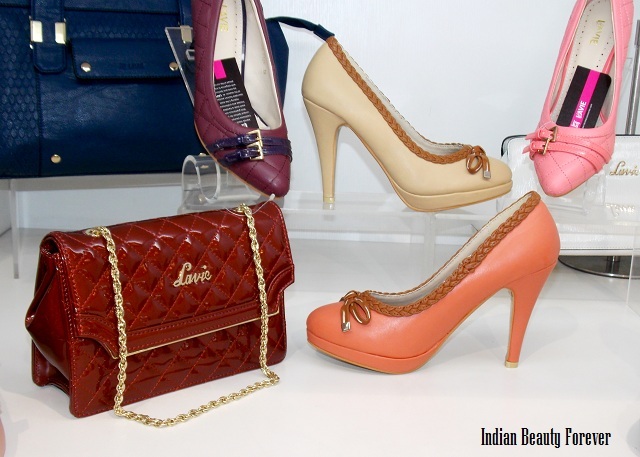 Last weekend, I was invited to this Lavie event at Bagzone, Select City Walk, Saket where they showcased their latest collection of handbags and shoes. 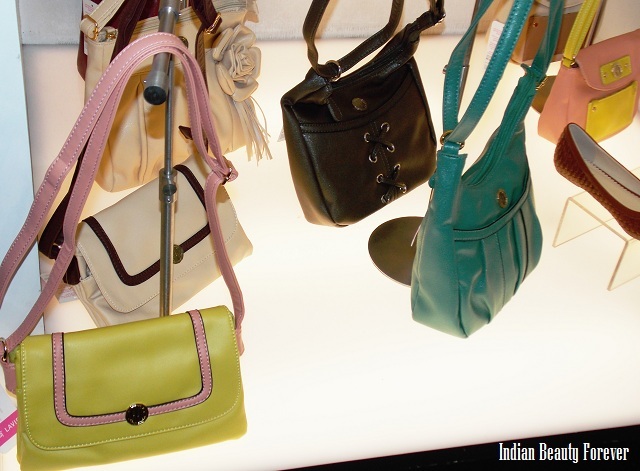 The new collection includes stylish and chic casual handbags, totes, laptop bags, formal office bags and sling bags in candy colors. 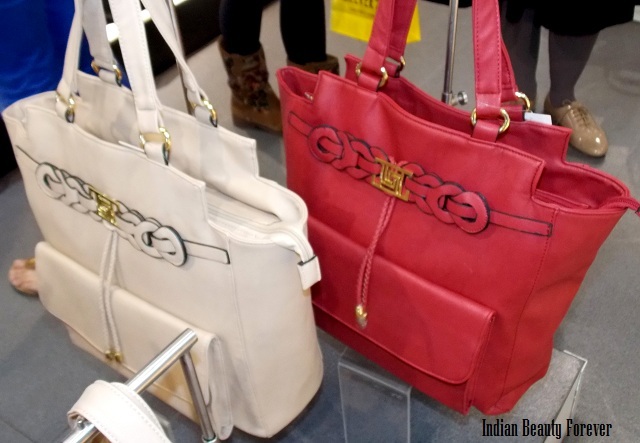 I personally loved the laptop bags a lot, they were really classy! Here’s me with a peachy orange bag. They have launched shoes too this time though they were in limited designs. The shoe collection had flats, pumps, couple of wedges and strapy sandals. I have checked that some of their latest collection is there on online shopping sites like Jabong, Myntra and Flipkart including the shoe collection! I picked up this beige bag for me from the voucher provided. It's around 3k. 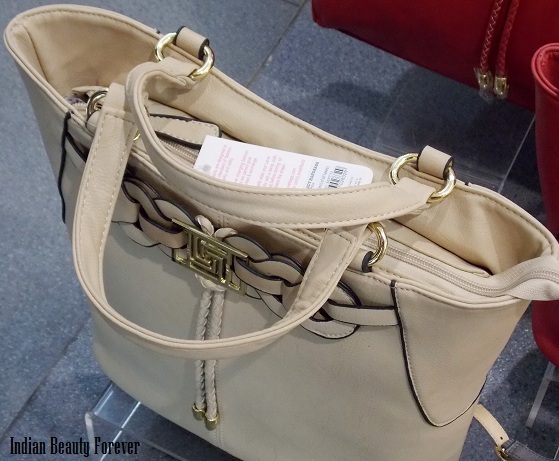 Since I already have colored ones, I chose this small beige one which I later realized isn’t that small, rather roomy enough to keep most of my essential stuff that I want to carry with me. Will review it in a couple of days. Stay tuned!! 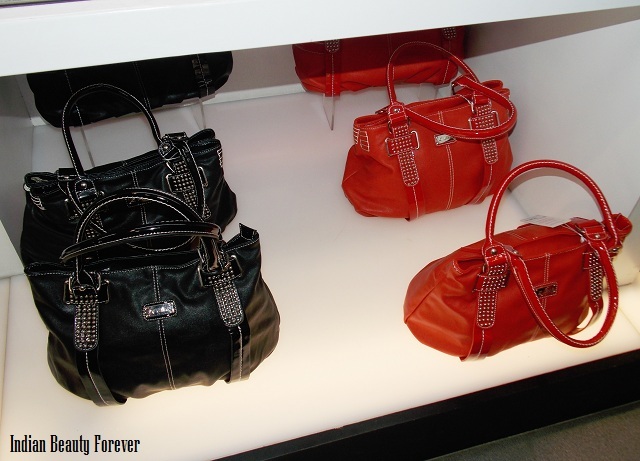 Established as a Lifestyle brand, Lavie launched its first bag collection in 2010, followed by a shoe collection. 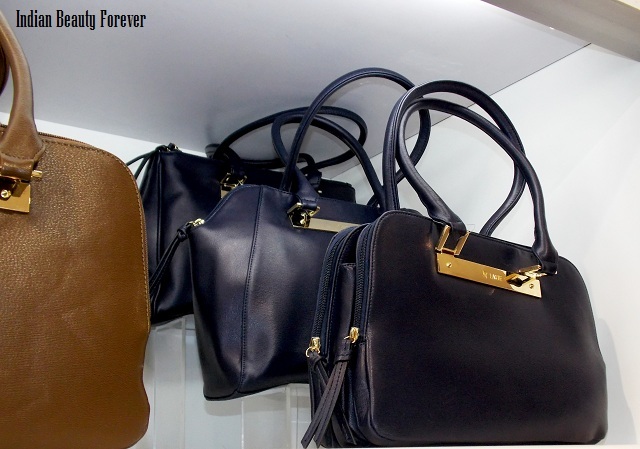 Lavie aims to appeal to the Gen Y woman who has high ambitions & lives with an impulsive spirit. 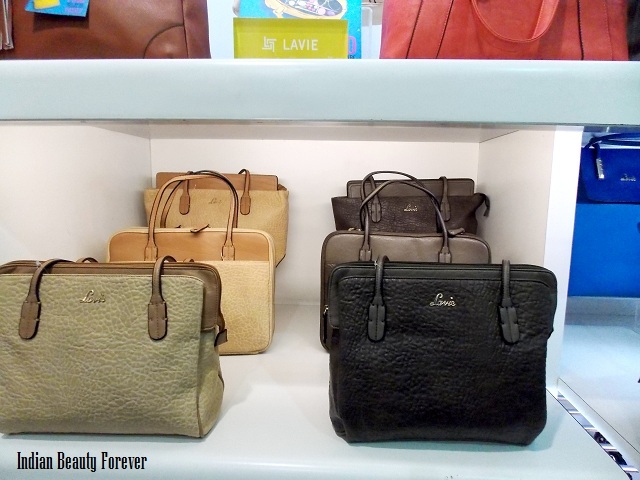 Lavie provides a wide range of bags to choose from. 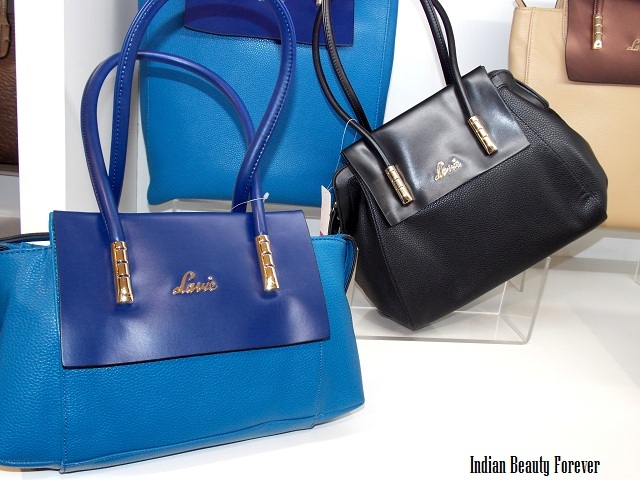 Lavie’s hand bag collection comprises of satchels, totes, slings, hobos, box bags to clutches & wallets ensuring we have something to match all your outfits & suit the many occasions. You can avail the latest collections across India at select Samsonite and Bagzone stores, Debenhams, Shoppers Stop, Lifestyle, Central, Pantaloons and other leading retail chains. Beautiful collection. Shoes are very nice and look exclusive! I liked the heels that they had!! 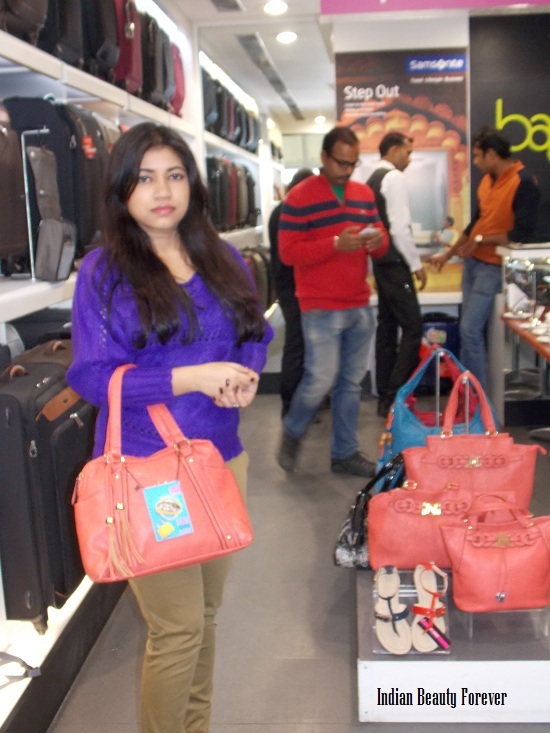 Your smile is missing, u seem sleepy; but you still look sweet n innocent :) u picked a nice bag btw! Thet have some really good stuff! I never knew! Drool worthy pics...You look good Niesha in the pic! I own a pair of their heels and adore them like anything!!! Is it!! thank u dear! :) I so agree their heels very looking awesome, they didn't have my size at the time, else I would have picked up a pair of pumps for me. :D I had wine and dine from maybelline that day. In love with that color! :) thank you Shipra. You liked that! thank you Subha. Those bags! And you look so pretty!